Add these adorable jumping cloud sheep wall decals to help you drift into dreamland. 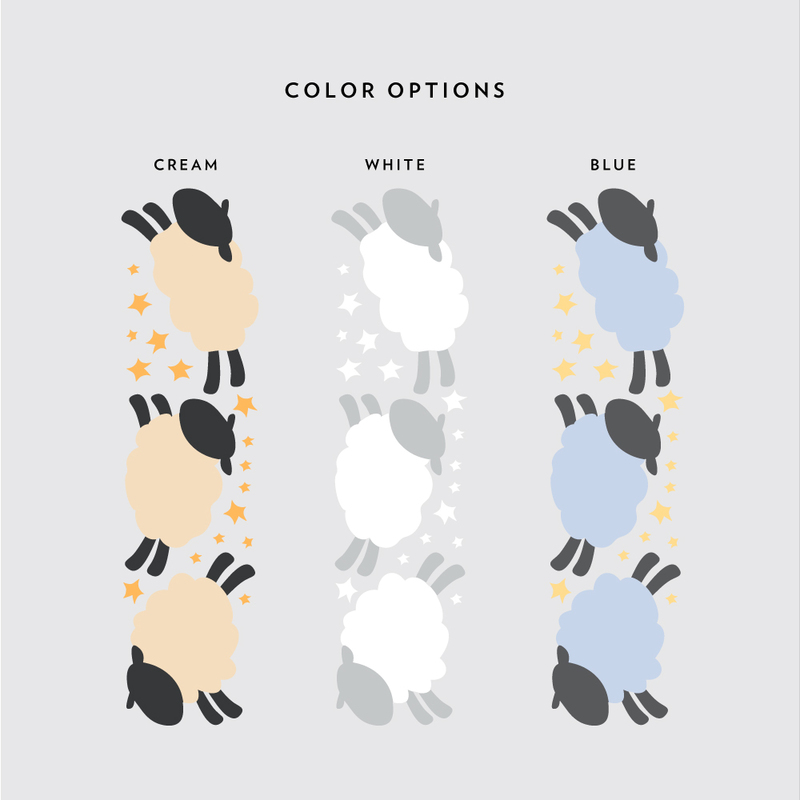 Similar to our other Counting Sheep Wall Stickers, this sheep wall sticker set is printed on a re-positionable adhesive wall fabric material that allows you to move and rearrange the pieces if needed. Each kit includes 3 sheep and 16 stars. Don't see a size listed that will work for your application? We are able to custom cut your Wallums wall decal to just about any size. We also can cut your custom design. Please use the Custom Quote form.